At the height of the Fukushima Daiichi crisis, there was a lot of discussion in the comments of this blog about the impact of radiation on human health. In particular, there was a debate about whether the linear no-threshold hypothesis (LNT) or the hormetic dose response (RH) was more scientifically robust model for assessing the implications of a Chernobyl or Fukushima release event. Provisional analyses based on radiation dose rates at the site boundary show that emissions to air have reduced by a factor of two million compared to those at the height of the crisis, when the torus suppression chamber of unit 2 ruptured on 15 March. Someone standing at the western border of the power plant today could expect to receive a maximum of 1.7 millisieverts per year (mSv/y) from airborne radioactivity from the three ruined reactors. This compares to the 2.4 mSv/y average that people worldwide receive from background sources, and the operational limit for nuclear power plants in Japan to limit public exposure to 1.0 mSv/y. 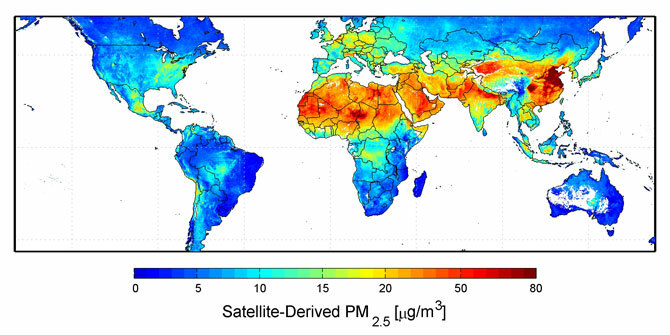 Dose rates from emissions drop dramatically away from the site: five kilometres away the maximum rate from newly released radiation is 0.3 mSv/y; ten kilometres away it is 0.09 mSv/y; and 20 kilometres away it is 0.03 mSv/y. It is important to note that these figures apply only to the rate of release of radiation now, and do not include the effects of any materials already deposited on the ground, some of which will continue to emit radiation for many years. There are areas totalling about 1000 square kilometres where dose rates have been elevated beyond 20 mSv/y due to caesium-137 deposited on the ground. Would sir like a caesium salad with his steak? The most rigorous epidemiological study of the effects of low exposure to radiation workers was the Nuclear Shipyards Workers Study initiated by the USA Department of Energy in which 71 000 workers were examined. There were two exposed groups with doses less than or greater than the equivalent of 5 years’ background radiation. These were compared with similar workers with no exposure. The higher dose group had lower cancer death rates and lower death rates from all causes. Similar findings of lower deaths from all causes were shown in the British Radiologists Study of all British radiologists between 1900 and 1980. The failure of the LNT hypothesis at low doses is supported by mathematical theory, which predicts that under conditions of low dose, the outcome of extremely complex phenomena cannot be predicted by a simple linear equation. The LNT hypothesis is highly unscientific when applied to low dose irradiation and its application has had profound and undesirable consequences that are with us today. Conclusions about the effects of acute exposure are generally based on data on the Japanese survivors of the atomic bombs (see Figure 2). The RERF compared the cancer mortality of Hiroshima and Nagasaki survivors with that of people who were 3-10 km from ground zero (“in-the-city controls”). These controls received some radiation from the bombs, and many went into the bombed areas while residual radiation was high. Total [all-cause] “mortality rates in 120,321 atomic bomb survivors were not increased at doses <490 mSv. The cancer mortality rate of the 7,430 survivors of Hiroshima and Nagasaki who received 10-19 mSvwas 68.5% ( <.01) of that of controls. The 28,423 survivors (69% of all survivors) who received 2,000 mSv. The micro-dosimeter: One of the project's collaborators, Mark Reinhard from ANSTO, shows off the nucleus-sized radiation-detecting device which is set on a microchip. A brief summary of the controversy around that, and similar statements on LNT and RH, can be read here. Actually, on that point, what I’m particularly seeking in the comments on this BNC post is to find/cite examples from the peer-reviewed medical/clinical/experimental literature (abstract links or full PDF papers) that either support or reject the LNT or RH. Meta-analysis [quantitative synthesis of individual studies] would be particularly useful, since they are statistical syntheses. Less useful are equivocal conclusions such as accepting the use of the LNT because it is a ‘null’ model that can be used in the absence of compelling evidence supporting (or rejecting) the RH model. A major problem, of course, is that because we are talking about the potential impact (detrimental or beneficial) of very low-dose radiation, individual effects are typically small — thus large-scale epidemiological studies are required to come up with statistically meaningful signals. These data are also difficult to analyse (e.g., removing potential biases caused by other mortality factors, stratifying the sample to cover representative cross-sections of the populations under study, etc.) and obtaining precise individual doses for subjects is also challenging. A real breakthrough in resolving this issue would be if proxy methods could be developed and deployed to measure doses of individuals over defined periods or even lifetimes. Then, very effective control-impact and continuous dose studies could be designed. Some tantalising possibilities exist, such as new microchip technology or using teeth as natural biodosimeters. Perhaps, in the near future, this may lead to more robust answers — and more scientifically informed public policy. I look forward to the comments that follow. Please remember to follow the BNC commenting rules by sticking to the topic at hand, and, where possible, supporting your statements with references. A certain amount of opining and philosophy on radiation and public opinion etc. is also acceptable here, but please try not to drift too far into the realm of speculation. As an electrical engineer this topic reminds me of digital communications and the impact of noise in such systems. In an analogue transmission such as AM radio noise will build on itself in a linear way. Whilst in a digital radio signal noise is washed out of the signal using error correction. However whilst low level noise has basically zero impact on the quality of a digital signal the impact of high level noise is catastrophic. The effect of noise is decidedly non linear in digital systems. Why am I reminded of digital communications? Because DNA is a system that transmits information in a digital form. It is a system that has error correction. And nuclear radiation which causes damage to that information is in essence a form of noise. Analogies are dangerous at times and I’m not a biologist so caution is warranted, however on the face of it the notion that biological noise should have a non linear biological impact seems extremely logical. At least it does to me. I know this sounds obvious, but there are several survey papers listed amongst the references on the Wikipedia article on the Linear No-Threshold Model for radiation health effects. I don’t have any background in radiation analysis, nor can I suggest any other sources, but I do have some experience critiquing statistical analysis. The following sentence from the Wigg quote would suggest caution: “The higher dose group had lower cancer death rates and lower death rates from all causes.” If “all causes” includes non-medical causes – car accident, drowning etc. then I’d suspect something else is going on here than just radiation doseage. It would be necessary to look at the full data and analytical techniques to comment further. I learned much from the March 30 Lynas/Goodall post, found at Mark Lynas’ blog. The reference there to Ramsar alone is a slam-dunk falsification. It has the added benefit to be easily understood by anybody. I don’t have a scientific study to prove the point, but it is probably true anyway that the Japanese women soccer team won the World Cup because they got some extra power from low level radiation. One of the players actually used to work at the Fukushima plant, giving the staff there a very welcome boost in morale. It is definitely true that LNT comes with a cost in form of nocebo (look it up at Wikipedia if you haven’t heard about that concept, basically the reverse of the placebo effect). And since the Low Level Campaign and ECRR will scream at every last nanosievert, there is no threshold for that damage, meaning ironically that LNT is actually true as far as damage from irrational fear mongering is concerned. Biological damage may be a somewhat imprecise term, insofar as what damages a part of an organism may be good for the overall organism. Thus, I “biologically damage” my muscles when I go to the gym by tearing them slightly; this damage provokes a biological repair mechanism which has the net overall effect of making them stronger and more resilient – – overall, a net positive. Vaccines work analogously – – introducing a controlled level of harm to provoke a reaction that results in the organism becoming more robust. Low dose radiation does break DNA, so there is “biological damage,” but this damage, within bounds, may be a net positive, at least across populations. Overall, I think the theory that low/moderate levels of radiation “trigger repair mechanisms” and make organisms stronger (i.e., the position of the RH camp) has the better of the argument. I am curious about what others thing of this notion: that it is possible that relatively low does radiation are a net positive across a population while, simultaneously, in the rarer cases, that radiation is also involved a link in the chain of adverse events that lead to the development of cancer in certain individuals within the population. In other words, it is possible to have harmful biological damage for some and, simultaneously, helpful biological damage for most. Like vaccination, perhaps. An aside: the reactive mechanism that seems to be associated with low dose radiation is somewhat like the mechanism – – introducing a little bit of a thing that challenges you in the same way as a disease, in order to build resistance – – that is posited in homeopathy – – although, in homeopathy, the triggering agent would seem to be diluted far, far, far beyond the point of any possible effect. Well, there you go. Lots of theorizing, with just one reference. Ach. I really wouldn’t get into this Barry. You need to go back to the 2008 report for the scientific annexes and references. FWIW I don’t have a strong opinion on this. While nuclear opponents can and do hype up the risk from low level radiation, to say that there is no risk (or even a benefit) strikes me as jumping the shark in the other direction. I’m happy enough that population risk from low level radiation is small, at the very edge of what current epidemiological methods can detect (Darby et al notwithstanding). You have to weigh it up against the benefits of clean, reliable electricity generation. And you don’t need to invoke radiation hormesis, which has a whiff of crackpottery about it. There are actually dozens of papers supporting hormesis that at one point I pointed a friend of mine too. Gregory Meyerson on this list has also sent me some papers on the subject. My own view is that I stay away from the subject. I reject it for the same reason I reject LNT: the results are hard to determine given the huge environmental influence on human health such as processed foods, chemical exposures, air pollution, sedentary lifestyles, access to medicine, war, poverty etc. I should reprise my clear understanding that the BEIR VII report ditches LNT, although it embraces neither threshold nor hormesis. The linear no-threshold model holds that the effect of moderate dose radiation, of the order of 1-2Sv, which produces a measurable chance of future health issues, can be used as a scaling point to infer low-level radation health effects in direct propotion to the dosage. BEIR VII does not do that. Instead it introduces an additional factor, DDREF, which allows it to scale down the damage of low level radiation by some factor betewen 2 and 10. This kills the idea that they are supporting a “simple” linear model. I recall reading – and I think it was in BEIR VII – that there is no need for a threshold model since DDREF can be adjusted to accommodate any observation set, which to me seems anti-scientific. It is perhaps in the nature of a document such as BEIR VII that there are many viewpoints and results that do not give a consistent message. Discussion of threholds to damage or health effects varies considerably throughout. I know the two examples above are clearly arguing in support of RH over LNT, but that’s because I found it difficult to find similar opinionated review works, backed by citations and written by a relevant expert in the field of radiobiology, who argues the LNT case. You might want to consider “international collaborative study” coordinated by the International Agency for Research on Cancer (IARC) in Lyon, France, on low dose exposure risk to ionizing radiation and cancer incidence/mortality. It’s the largest epidemiological study of it’s kind, some 600,000 nuclear industry workers (excluding mining) in 154 facilities in 15 countries, and includes data on low dose exposure (under 10 mSv) for 250,000 workers. Research results were published by lead researcher Elisabeth Cardis in the British Medical Journal in 2005, and confirm (as ‘higher” or “statistically comparable”) risk estimates to those predicted by LNT model and current radiation protection standards. Further research is needed to more fully account for smoking and diet risk factors among living cohort groups (and research is on-going). BMJ website includes numerous links to responses and articles citing original research (review or otherwise). I’m with Matt and with David Walters. If hormesis is real, and coal and gas plants could in principle contain all their non-inert-gas wastes, they’d be health enhancement stations because of their habit of broadcasting radon. Not containing certain other things because they’re in practice rather than in principle? Well, they’re just a very transitory, interim, protem bridge to renewables! I don’t see how those who see nuclear as a key part of an environmental and energy strategy can simply stay away from this issue. Because it is an issue in the debate, it is not one that can be avoided, whether it “belongs” in the debate (in our view) or not. The “current balance of evidence” also shows a non-threshold response to vigorous exercise – – the non-threshold response involves increased heart rates. Increased heart rates have a non-zero chance of combining with other factors to induce a fatal heart attack. Should we therefore avoid exercise? Lucky for the gymnasium business that exercise is not radiation. If, as RH investigation seems to indicate, there is also a non-zero chance that low levels of radioactivity exposure tend to enhance health, then it is not clear why LNT is a basis for rational policy choices. If the non-zero chance of ultimate benefit from low levels of radiation exposure is greater than the non-zero chance of ultimate harm, then driving policy with LNT is harming more people than it helps. Note that, it is exactly the non-threshold response that RH advocates say confers the adaptive benefit. No harm, no response-to-harm from the organism. Thus, no (low level) harm, no benefit. For any individual, factors particular to that individual, or operating at a particular time with respect to that individual (e.g., perhaps additive exposure to other mutation-inducing or cancer-triggering factors) may lead to more harm than good. A generally beneficial adaptive response in a population is probably never universal. Some people who exercise vigorously will get heart attacks and die. Some people will react horribly negatively to vaccines. In the complicated world of organisms that have adapted to, evolved in, and operate in, environments that challenge them, the harm from low levels of radiation may lead, for most, to benefit-through-adaptation-and-response. It could also, for some, lead to more harm – – harm that flows, in part, from the triggering factor of radiation exposure. Both effects can exist, and are not contradictory, but may occur together. Frank – please be aware that on all but the Open Threads, BNC requires cites/refs to back up opinion. Please supply these in future. Thank you. Barry, I trust you’ve asked a reference librarian at your university to give you a list meeting your criteria. Most of the work I know of is paywalled but you should be able to get the papers. (I won’t repeat the cites posted previously on this issue, they’re in comments I’ve made in your blog here). Low Dose Radiation Epidemiology: What Can It Tell Us? Does anyone have any non hysterical information on the 1000sq km area above 20 mSv/yr mentioned above in relation to action plans and likely effects.? Hank, that’s fine, but I assume you’ve read these so do you have a particular part of any of those papers that you consider worth citing as the clinching conclusion, like those I selected to represent Wigg and Luckey? I’m aware of the Taiwan study, but didn’t raise it, or any other study except Hiroshima, because of the difficultly in drawing firm conclusions. An interesting related point is the work done on high natural exposures such as the Ramsar population. I have some references on this at home that I’ll have to look up when I get back. Barry, of the papers I’ve read, and those paywalled for which I’ve seen only abstracts, none contain clinching conclusions that I’ve come across. I see repeated assessments saying any effect is too small to be demonstrated statistically with the data thus far available. Helen’s comment is apt: https://bravenewclimate.com/2011/07/21/radiation-hormesis/#comment-131794 — something else is probably going on there for that claim to be made. A clear consensus emerges only with sufficiently large data sets that causes of death can be broken out — not “all causes” but relevant causes — statistically. That’s why it took decades for sidestream tobacco and pm20 diesel particulates to be understood. As an aside — this paper has some good observations on how to do this sort of epidemiological study, and on the detection of very small effects (along with some cautions about statistical software bugs!). (Of course combustion fuels (wood and fossil) are ‘grandfathered’ so convincing evidence of health concerns was approached differently. I’d like to know where this figure is from, but if it is true (and I have no reason to doubt that it is), it just goes to show how important this issue is, and truly knocks on the head the idea that the LNT model is a “sensible, conservative” approach to radiation risk assessment, for absence of better evidence for an alternative model. It’s clearly important in the context of discussion on nuclear safety – I’ve lost count of the number of times I’ve mentioned to friends that no one was killed in the Fukushima crisis, and received the response “No, not yet,” as though everyone within a 30 km radius of the crippled power plant would eventually die of radiation-induced cancer or illness. And these people aren’t anti-nukes, and most would never have even heard of LNT. Yet the current use of the hypothesis in policy (and in the mass media) seriously influences their perception on the issue. Barry, is it possible to wander down the corridor and enlist clinical radiobiologist Prof David Wigg to participate directly in this thread? Nothing like having a recognised authority in the subject area. The credibility of the figure used above would be greatly improved if all the numbers were whitened out. The smooth curve is then simply illustrative of a comfort zone, rather than overconfidently suggesting measurements. Indeed, its author’s use of numbers and units is haphazard and exposes anyone referencing his paper to criticism and perhaps ridicule. Similarly, he mixes up acute dose rates with chronic, and bungles their units – milliseiverts per hour vs milliseiverts per annum. Further, it is the dose (eg, >1 Sv) which causes symptoms, not the dose rate. Although the paper is marvellously provocative to discussion, it lacks quantitative respectability so commenters may be wiser to reference other papers. It seems to me that this question could be answered relatively easily with animal studies. These can be well-controlled, eliminating all of the criticism surrounding uncontrolled factors in human studies. Of course, there is always a concern of the relevance on non-human studies. On the other hand, if the argument is that animals evolved in a radioactive environment, and developed repair mechanisms that can be enhanced by low-level exposure then it would seem that most animals on earth would demonstrate this effect. We could even carry out studies on primates, although I imagine that would be objectionable in many quarters. The other problem is that if effects leading to cancer are to be traced these might take some time to develop. All in all though I would think experts in the conduct of animal trials could give us some very substantial data in a reasonable period. There are areas totalling about 1000 square kilometres where dose rates have been elevated beyond 20 mSv/y due to caesium-137 deposited on the ground. Pi times 900 km^2 is ~2827 km^2, but the image shows that more than half of this is ocean. Is it true, then, that about two-thirds of the land within 30 km of FD1 is over 20 mSv per year? The most rigorous epidemiological study of the effects of low exposure to radiation workers was the Nuclear Shipyards Workers Study initiated by the USA Department of Energy in which 71 000 workers were examined. There were two exposed groups with doses less than or greater than the equivalent of 5 years’ background radiation. These were compared with similar workers with no exposure. The higher dose group had lower cancer death rates and lower death rates from all causes … The LNT hypothesis is highly unscientific when applied to low dose irradiation and its application has had profound and undesirable consequences that are with us today. This study does not appear to be as conclusive as Wigg presumes it to be (and it is also not the “largest” or “most rigorous” epidemiological study of it’s kind). Study focuses on healthy worker effect (lower incidence of non-cancer illness), measurement bias (a misclassification of workers and occupational exposure), and selection bias (which it rules out). Study points mainly to healthy worker effect, “health requirements for entry into nuclear work were more stringent than those for nonnuclear work” (307), and “inaccurate exposure data” as sources of “substantial bias away from the null hypothesis of no association between nuclear work and cancer death” (307). Assessment looks to highlight bias in earlier research, but does not make conclusions on dose-dependent relationships between low-level exposure risk and cancer death. Looks at Portsmouth, NH, Naval Shipyard (PNS) study and four other film badge monitoring programs (at Hanford, Savannah River, Oak Ridge, and Los Alamos), and finds bias and uncertainty in results (equated with “differences in incident photon energy, exposure geometry, dosemeter type and dosimetry methods”). Bias factors at PNS range from 1.22 – 1.49, and study recommends adjustments “to produce normalized cumulative dose estimates for a multi-site epidemiological study” (287). The leukemia sample is small in Portsmouth Naval Shipyard study (53 leukemia deaths and 212 controls) and few workers “had received any detectable radiation dosage” (990), which makes correlations and conclusions difficult, but study looks at overall results, ionizing radiation vs. solvent exposure, and correlation of results to specific occupations or work-environments (electricians and welders). Study does not disconfirm results of earlier study, but finds “significant” elevated levels of leukemia when specific occupations are examined (particularly lymphatic leukemia among electricians and myeloid leukemias among welders): “statistically significant excess risks of leukemia were noted for those persons employed at the Portsmouth Naval Shipyard as electricians and welders; these results were observed in the univariate analysis as well as in the conditional logistic regression analysis” (991). Exposure to ionizing radiation and solvent use are not identified as a contributing cause (but require further research). Perhaps given the limits and small sample size of Portsmouth Naval Shipyard study … the larger and more comprehensive study by IARC of 600,000 nuclear industry workers in 154 facilities and 17 countries, which does show dose-dependent LNT criteria to be justified, should be the more credible and fully documented study to include in list of available research by established experts in epidemiology and radiobiology. for the health forcings associated specifically with various human activities (including burning coal, wood, diesel, gasoline, tobacco) — treating each separately, not meant to be comparing “keeping warm” versus “freezing in the dark” as health forcings). Fossil fuels would show a very large forcing (associated mortality) with a relatively small error band, as that’s becoming better understood. Radioactivity would show a tiny little blip slightly above zero with a small uncertainty going a bit below zero for the possibility that some hormesis effect exists for some forms of radiation for some populations. Shorter: it’s minuscule, if it exists. thanks for your comments. I say ‘stay away’ from both should be read as ‘don’t defend either’. I always go after those that try to use LNT against nuclear energy. I’m not a doctor, havn’t a clue about how biological processes work in terms of what to look for in reports people have cited, etc. However, the world seems to use the BEIR IV report. The report, while noting the use of LNT doesn’t seem to back up the antis on the question of nuclear energy, which know doesn’t harm those except when very close to an accident with the presence of radionuclides, which as a species, we want to avoid ingesting or inhaling as a general rule. Dr. Leo Gomez has been pushing for setting up an Ultra Low Level Radiation Effects laboratory where background radiation is far lower than anywhere humans live, where he believes the answer to your question will come from. Gwyneth Cravens discussed radiation at length with Dr. Gomez and put a lot of what she learned into her Power to Save the World book. “including critical assessment of all data that might affect the shape of the response curve at low doses, in particular, evidence for or against thresholds in dose-response relationships and evidence for or against adaptive responses and radiation hormesis“, etc. I roughly estimated that they have more than 1000 references listed at the end of the report. They also say they were directed to “identify critical gaps in knowledge that should be filled by future research” which they did. They have a section to explain why they didn’t accept that low doses are substantially more harmful than estimated by the LNT model, and a section to explain why they didn’t accept that low doses are substantially less harmful. Luckey, Cohen, Pollycove, but not Wigg, are referenced and discussed. They note that BEIR V discussed evidence from high background radiation areas indicating that two problems with the data are “alone are enough to make such studies meaningless”. And naturally, the state of scientific knowledge might be different now. Good luck with trying to get to the bottom of it. Surely, because quite a lot is at stake, if there had been a significant shift in what the relevant scientists believe they could agree about in this what seems to be very murky area since BEIR VII reported, I could expect to see calls to the National Academy requesting a new BEIR assessment which explained why the people associated with the call believe a new BEIR panel would arrive at a different conclusion. I’ve only seen the letter Ted Rockwell wrote to Ralph Cicerone just after BEIR VII was released. I have been googling around a bit to find out more about Prof. Luckey. The reason is that I never heard of a “Free university of Herborn, Germany”, I am quite sure that there were no “knightings” going on in Germany 1984, and the title of “honorary Samurai” is also something I find hard to understand. In contrast, I could confirm the part on “retired professor, University of Missouri”. I am not sure if I should post this at all; but since I spent some time looking for the information, I might as well. It does seem rather odd. He seems to have a record of peer-review publications in notable science/medical journals. It seems that the Free(Old) University of Herborn, is still hosting seminars in 2011, but no longer operates as a teaching facility. Hence the Honorary Professor title. Reading that autobiographical text (which is interesting on its own) I get the impression that the stuff I could not understand properly is some kind of honorary present by friends. Still seems somewhat weird to include it in your title, though. Helen – lower all-cause mortality means the sum of all deaths from all causes is lower; it emphatically does not mean that every cause of death is lower. If heart disease, car accidents and any other cause of death does not rise sufficiently due to radiation exposure to offset the reduction in cancer rates due to radiation exposuer; all-cause mortality will be lower. I think there are two different points where it makes sense to potentially set our hypotheses in this discussion. a) We’re not exactly sure how low-dose response behaves exactly, but the LNT hypothesis – assuming that every single additional nanosievert causes increased morbidity and mortality – does not appear to be correct, based on the weight of the empirical evidence. b) Radiation hormesis really does exist at low doses. (a) does not necessarily imply (b), but it certainly does not exclude it. There may be a linear dose-response curve that intersects the dose axis at some non-zero threshold dose, not the origin, and/or the curve may simply not be linear, whether it intersects the origin or not. (a) is also a significantly easier hypothesis to accept than (b), based on current knowledge and empirical evidence. The very-low-dose radiobiology experiments being performed in the WIPP underground laboratory represent a significant milestone – moving from simply passive epidemiological research in this area to active experimentation. One of the major problems with BEIR is that they don’t adequately deal with the dose RATE. They look at low doses and high doses – in total. But not at the rate the dose is attenuated. They look at bomb survivors (low to high dose, high dose rate) and medical imaging (low dose, but VERY high dose rate). But they don’t consider the cases that are really relevant to radiation hormesis – those are the cases of low dose rates. The Taiwanese appartments for example had high total doses because people lived there much of the day and many were irradiated with multiple Sieverts. However the dose rate is modest as the dose was attenuated over many years. Now it is important to consider the supposed theoretical explanation of hormesis: the immune system is stimulated. If it is overwhelmed (high dose rate whether low or high total dose) then there would be little or no hormesis. From these theoretical grounds, high dose rates from medical imaging (despite the low total dose) are not very useful for investigating radiation hormesis. Neither are atomic bomb survivors. BEIR and most of the literature simply doesn’t deal with this important distinction with any scientific rigor. They use fudge factors and other nonscientific “solutions” to compensate for the dose rate. posted 24 July 2011 at 9:08 PM by Cyril R.
The above comments and links would tend to suggest that at least for the time being it is unlikely that regulators will move away from conservative application of LNT model as a basis for setting regulatory limits or for activist groups and media to be deterred from extrapolating minute effects over large populations. Maybe it is more effective to look at the comparative risks at higher levels where we can agree on health risks. Every day governments, health authorities and police make decisions on public health and safety risks for allocation of resources. We routinely accept risk in public cost benefit analyses. It would seem though that for radiation the acceptable risk is minuscule. The 20mSv /yr zone will remain an exclusion zone at Fukushima. But what are comparable risks that we accept everyday in public and private decision making either consciously or otherwise? Rick, good point. Lots of people live near major roads and highways. This causes a large increase in cancer incidence; particulate matter from cars, exagerbated by NOx and CO emissions, are an important source of cancers, notably lung cancer. Yet we don’t evacuate all areas around major roads and highways. Indeed, we actively encourage businesses to set up offices and stores near these roads, as these locations are so easily accessible. People will work in those commercial/industrial areas near major roads for 8+ hours a day, when this gives an increased cancer risk many times that of 20 mSv/year of ionizing radiation. Society isn’t risk averse, its risk delusional. Please supply refs to back up your assertion re cancer rates near major roads. posted 24 July 2011 at 11:17 PM by Cyril R.
> people live near major roads and highways. What’s your source on that, please? Why do you believe your source is giving you good information? Does your source give any basis for making that claim? Have you read any of the published research? The readings inside the 20km zone are all over the lot with readings as low as 0.6 uSv/hr to 81 uSv/hr. At some point the Japanese authorities will probably start making decisions on a square km by square km basis.. Source, there are many, most regions show the same: increased particulate matter exposure gives you increased lung cancer incidence. These are very serious increased mortality risks and make 20 mSv/year of radiocesium look like a safe haven. posted 25 July 2011 at 3:43 AM by Cyril R.
posted 25 July 2011 at 3:50 AM by Cyril R.
Cyril, where does “near major roads or highways” come from? More important, look into the source — what’s in the particles. The small particles don’t stay near the roads and highways, nor do the gases from combustion (nitrogen and sulfur compounds). Hank. Of course the particulate doesn’t stay near the roads! But they are more concentrated close to them rather than further away. Don’t tell me you need references for this, or I will explode. The map you give is insufficient resolution – and too big a scale anyway – to see the effect of roads. However your map shows how dangerous biomass burning is (North Africa, lots of biomass burning well because its dry and little rain to wash out the nasties). Biomass kills. It also shows the rediculous Chinese tendency for un-abatement in their fossil burning techs. Particles size matters, definately. 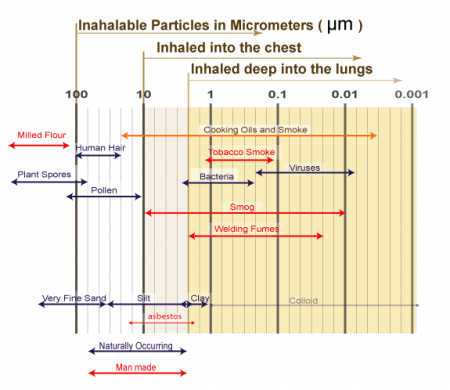 My previous link shows that there is no correlation of lung cancer with coarse particulate. The reason seems to be that smaller particles penetrate deeper and have more surface area to react. However coarse particulate can still cause black lung, general windedness and other nasty things. posted 25 July 2011 at 6:06 AM by Cyril R.
Now, the smaller particles being carginogenic is a major problem. Particulate filters such as baghouse filters at the coal plant are good at grabbing coarse particles. Much less good at grabbing the PM2.5. So while such a filter can remove 99% of the particulate the reduction in lung cancer will be not so fantastic. posted 25 July 2011 at 6:08 AM by Cyril R.
What’s in the particles, yes definately also matters. Salt is a good example. Near the coast you see lots of salt particulate. But you can ignore that completely as salt simply dissolves upon contact with the lungs and is processed out of your body, uh, ‘the usual way’. One of my clients actually got in trouble with this – its an iron smelter near the coast that was emitting too much particulate. It wasn’t so bad after the sea salt correction (already has huge modern baghouse filters). posted 25 July 2011 at 6:11 AM by Cyril R.
“The author acknowledges that the Lord made ionizing radiation to benefit his creation. Everything is uncovered and laid bare before the eyes of him to whom we must give account (Hebrews 4:13b)” [emphasis in original]. Might we also quote from Milton’s “Paradise Lost” on the contrasting case: “do they only stand, By ignorance, is that their happy state, The proof of their obedience and their faith?” (Book IV:518-520). The author appears to have certainly passed the muster of BNC comments policy by providing a citation for his claim on the god given benefits of ionizing radiation (the New Testament), but I’m not yet convinced that all is solid and firm in the world of biblical scholarship, bibliographic selection (accounting for contrasting cases), Heartland Institute partisanship, and energy probes from over-zealous ideologues stubbornly critical of “big government” thinking and programs. Let’s look to the experts for their assessment of this work, and I’ll be eagerly awaiting independent review from the medical and scientific community (who’s detailed and methodologically rigorous research I have already cited above). Based upon human data, a single whole body dose of 150 mSv (15 rem) is safe. The high background of 700 mSv/year (70 rem/year) in the city of Ramsar, Iran is also a safe dose limit for continuous chronic exposure. Both dose limits are also beneficial. Studies from Ramsar are not yet conclusive. Cuttler and Pollycove quote a single study from 2002. It appears “preliminary” biological investigation of cytogenetical damage, chromosome aberrations, and other similar cellular and genetic impacts from exposure to high levels of environmental radon appear to be small in Ramsar. From a 2002 study, “there is no solid epidemiological information yet” (2002:37) The same in 2005, “At present, there is no reliable radio-epidemiological data regarding the incidence of cancer in [high levels of natural radiation areas of] Ramsar” (2005:13). Cuttler and Pollycove appear to be significantly jumping the gun on the conclusion that background 700 mSv/year is a safe dose limit for continuous chronic exposure … based on a single study with no epidemiological data (and only anecdotal data from local doctors, in Iran no less). I’ve pointed out inconsistencies with the Wigg analysis. I’ve also pointed to a comprehensive, methodologically rigorous, multi national study (the largest of its kind) that shows LNT guidelines for radio-protective guidelines to be justified and sound in current practice. Cuttler (the lead author on the paper and a long-standing active proponent of RH in Canada) is also a nuclear engineer and is not a medical professional (although he has worked for decades in radiation monitoring and safety systems for private companies and Atomic Energy of Canada Limited). 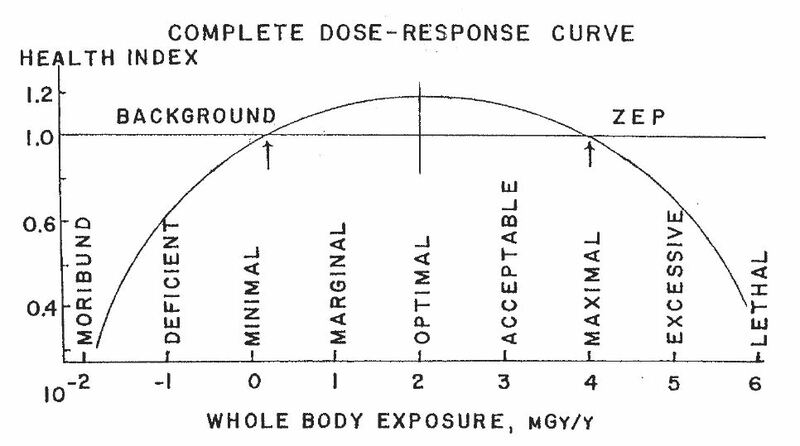 When looking to revamp radiation exposure guidelines to full body doses for nuclear industry workers you can look to long standing studies and comprehensive research (epidemiological, cytogenetic, accident follow-up, multi-national, multi-site, and more), carefully accounting for contrasting cases and inconsistencies in results, and you can also look at radio-protective guidelines that have worked and kept nuclear industry workers safe for generations, or you can do as Cuttler and Pollycove have done and turn to a single, incomplete, and self-declared “preliminary” assessment of high background radiation for one location (and a little bit of supporting and incomplete evidence from elsewhere). Maybe Ramsar will be important in the future for justifying new guidelines on exposure criteria for nuclear industry workers to very low doses of full body radiation (and so called hormetic effects of hyper stimulating and conditioning a workers immune system response to chronic and long-term exposure to low-dose ionizing radiation). As it stands right now, it does not, and more research is needed (and especially from researchers who don’t have a vested interest in the outcome). Barry, would you be willing to invite a statistician — one not associated with this issue on any side — to assess these papers you’re citing? I’m not a statistician. But I don’t see any statistics in the papers you’ve cited — no basis, no statistical test, no uncertainty range — for the claims being made. And I don’t find the sources even for the fact claims. Cuttler claims “The high background of 700 mSv/year ” — where was it measured? Who measured it? What’s the pattern, what other measures were taken, and how was the dosage calculated? So — 700? 200? Who can you rely on for the basic information here? Check this study, illustrated with some maps down to the street level for radiation measurements in Ramsar. Ramsar has a few high radiation areas, associated with hot springs that emit radon gas. Much of the area isn’t particularly radioactive. Look at Table III — it lists four cities in the Ramsar region and compares the mean radon levels to the US and Swedish regulatory recommendation levels. For Sweden, for existing construction, the recommended level is 400 Bq/m3. One of four Ramsar cities shown there has mean levels is 615. The other three cities’ mean measures are below 400 Bq/m3. I’m sure that measuring the radon right at the hot springs would get the much larger numbers — but what counts is actual human exposure over time. Japanese researchers are about to launch one of the most ambitious epidemiological studies ever attempted on the effects of low-dose radiation. On 25 July, Japan’s legislature approved a supplementary budget to support recovery from the 11 March disaster that includes $1.2 billion for health care and long-term studies of people exposed to radiation from the stricken Fukushima Dai-ichi Nuclear Power Plant. The target population includes all of Fukushima Prefecture’s 2-million-plus residents. Science interviewed gerontologist Seiji Yasumura of Fukushima Medical University, who will be managing the research, about the research plan. “a significant association was found for lung cancer (ERR/Sv 1.86, 90% CI 0.49, 3.63; 1457 deaths)”. It goes on to make a caveat about tobacco use. Would a statistically-skilled commenter explain just how much extra risk those numbers imply? Oops – lung cancer is exacerbated by a combination of radon and smoking , but is not especially associated with gamma radiation. I’m surprised nobody picked me up on that error. We were discussing whether there are cancer risks from chronic exposure to low gamma radiation. If those studies (from HL above) do not demonstrate an association between cancers and chronic gamma radiation, then the hormesis hypothesis stands. That is, that there may be a net benefit. which I believe comes from one of your postinds; thank you. I only include this to remind everyone that the actual situation regarding low doseage and its effects remains highly uncertain. Indeed is likely depends upon the way the dose is applied as well as individual age, health and susceptability. Environ Health. 2011 Apr 5;10 Suppl 1:S4. Radiation and cancer risk: a continuing challenge for epidemiologists. ” The longstanding discussion of the Cohen analyses and their utilization in policy discussions reflects the willingness of some to use data that are flawed but consistent with a policy objective…. … the evidence on radon and lung cancer risk is substantial and coherent and indoor radon is widely considered to be carcinogenic. Nonetheless, some remain skeptical, perhaps primarily because of the adoption of a no-threshold relationship between lung cancer risk and radon exposure. ….Scott et al. stated “Based on the results presented, we can therefore state that for people residing in homes with a radon concentration in the range 25–250 Bq m−3 (0.676 − 6.76 pCi L−1), remediation of their homes to eliminate radon may lead to a substantial increase in their lung cancer risk!”. The example of radon and lung cancer provides a number of “lessons learned” concerning the use of epidemiological evidence …. Sixth, even very strong evidence and scientific consensus may not quiet all critics, particularly those motivated by the policy implications of the scientific evidence. In the example of radon, critics continued to claim that uncertainties abound, even as the evidence became firmer . I am just a regular person- no experience here! But I am an expert parent with two small children who have undergone several x-rays… This keeps me up at night- I am becoming radiophobic worrying about the x-rays they have received. Oh, how I pray for hormesis to be true! There was a study done at Berkeley (May 2010) that says just 1-3 regular plain film x-rays increase the risk of Leukemia in children. Of course, I freaked out. My daughters have a few. My baby even had one at 4 weeks old. All of them were necessary- they are beautiful healthy girls and the fact that medical x-rays could possibly harm them, sickens me. I wish we knew for sure but I do understand why it’s difficult to know. We live at sea level and they girls haven’t flown- would that cancel out some of the radiation they received? I have heard over and over again about background radiation equivalents. But that means nothing to me, because although a VCUG is worth 3-6 months of background radiation, it is zapped all at once into my children! Luckily, they have had pretty low doses. From dental to VCUG, nothing was over 1.8mSv. But for my 7 year old, she’s had an x-ray every year since age 3! Two broken bones, VCUG, abdominal for tummy ache… I am getting to the point where I am truly phobic now and the only thing that eases my mind just a bit, is reading about hormesis. Thanks for your input!!! The Berkeley study was published in October 2010 issue of the International Journal of Epidemiology: “Diagnostic X-rays and risk of childhood leukaemia” (2010:1-10). In UC Berkeley press report on story, study authors note uncertainty with self-reporting on X-rays among study participants, but also note: “‘The results of our study were not what we expected. '” Results suggest even low levels of exposure to ionizing radiation (one x-ray … equivalent to some 10 days of exposure to background levels) showed a correlation for elevated risk for B-cell acute lymphoid leukemia in children aged 0-14 (three x-rays for acute myeloid leukemia). Study authors urge “caution” and “further investigation” when interpreting results.